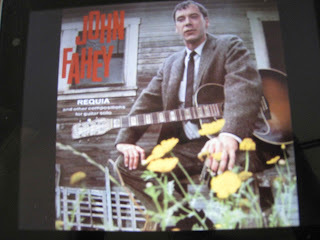 While John Fahey wasn’t enamoured of the first of his two releases on Vanguard (Requia stinks. I was drunk during the recording sessions and they put the splices in the wrong places. Don’t buy it. It’s bad news) there’s enough here, particularly in the first half of proceedings to please the discerning fan, though your average listener may be tempted to give things the flick pass somewhere around the start of the second section of the four-part Requiem for Molly. He’d already put out half a dozen albums on his own Takoma Records imprint and another (The Transfiguration of Blind Joe Death, later reissued on Takoma) on Riverboat but these were apparently deemed to be experimental. With a catalogue including a number of significant and pivotal folk and blues artists including Joan Baez, The Weavers, Mississippi John Hurt and Doc Watson (check the full list here), Vanguard Records was obviously a serious money-spinning concern capable of shifting significant quantities of product. According to Denny Bruce, Fahey’s manager at the time, the idea was that Takoma would continue to release 'experimental records,' but Fahey would attempt to produce something more commercial for Vanguard, who could provide a recording budget Fahey and Bruce wouldn’t have been able to manage by themselves. Of course, controlling the purse strings also gave Vanguard a degree of control over what came out (see forthcoming discussion of The Yellow Princess for more on that matter). The album opens with three extended solo pieces, very much along the lines of what Fahey had been doing on Takoma, which, of course, suggests they saw a degree of commercial potential there if they could snag the wider distribution and higher profile on the promotional side of things that Vanguard offered. 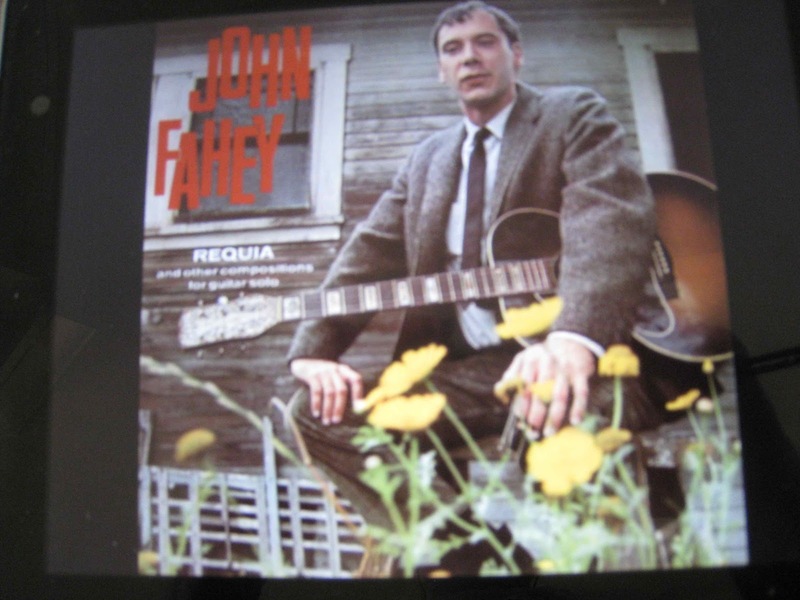 On that basis, Requiem for John Hurt, Requiem for Russell Blaine Cooper and When the Catfish Is in Bloom, deeply rooted in the blues are arguably among Fahey’s best work. Requiem for Mississippi John Hurt, subsequently revisited from time to time in both studio and live settings was, in Fahey’s own words played the way Charley Patton would have played it, had he ever thought of such a thing, which of course he never would have, based around Patton’s Jesus is a Dying-Bed-Maker. Mississippi John wasn’t the primary factor that brought Fahey and the acoustic guitar together but he provided an early first technical and emotional model, while Russell Blaine Cooper is dedicated to Fahey’s great-uncle. Fahey heard the World War I veteran and teacher talk once in 1957 and the song allegedly sounds like the way he talked. When the Catfish is in Bloom references Jimmie Rodgers, the Singing Brakeman’s When the Cactus is in Bloom, pinching the title and not much else (typical Fahey, from what I can gather) while the concluding two-minute Fight on Christians, Fight On was based on based on a similarly titled 1927 track by Sam Butler (a.k.a. Bo Weavil Jackson) played on bottleneck guitar. A hymn, as always, in Fahey’s words on the liner notes, to end. What comes in between those two tracks, the four-part Requiem for Molly is the source of Fahey’s reference to splices at the start of this review, and given the state of recording technology at the time you’d reckon getting these things right when you’re using a razor blade (or whatever) to do the splicing isn’t going to be easy. Molly, Fahey’s attempt at musique concrète, comes across as an odd jumble of solo guitar interspersed with samples and tape loops put together by Fahey, Sam Charters and Barry (Dr Demento) Hansen (to be fair, there’s something similar in Catfish, but there it’s a case of weaving the effects around the guitar. The whole, to quote Fahey’s liner notes Molly's psychological destruction and the reaction of another person in observing this process, for which he was perhaps, to some extent responsible. Elsewhere he described it as a good learning experience though. In cases like this, where you’ve got a mixture of sources as diverse as scratchy 78s (Sun Gonna Shine In My Back Door Some Day Blues, Circle Round the Moon by Charley Patton), screams, choral music, Charles Ives’ 4th Symphony, marching bands, speeches by Hitler, a bit of choral music and, believe it or not California Dreaming in Part 4 it’s something that may or may not work. Obviously, as far as Fahey was concerned, it didn’t, presumably because what came out didn’t match what he’d heard in his mind (which would, of course, explain the gripes about the splices) but to anyone else it’s probably about the reaction to the source material. I suspect the twenty-first century listener will probably be slightly less turned off by the Hitler material than I was, but the twenty-first century listener probably managed to miss the regular resurfacing of these elements through late sixties sound collages (the Vanilla Fudge’s The Beat Goes On being a prime example). But there’s a fair bit more than speechifying dictators there, and having progressed Requia to the point where the shuffle button in going to come into play it’ll be interesting to see where the four chunks of Molly end up vis a vis Hughesy’s Top 1500 Most Played. One wouldn’t be holding one’s breath in that department, but as things permeate their way up the play count there’s a fair chance the tracks from the first side will end up somewhere in that neighbourhood.